Comedy Central has officially had the last laugh, as its “Roast of Justin Bieber” pulled in a big 4.4 million viewers on Monday. Adding in a second telecast, that number rose to 5.8 million. An additional 420,000 people “live”-streamed it — a roast record. The special got a 3.3 rating in the advertiser-sought 18-49 demographic, the best number among that age group on cable last night. 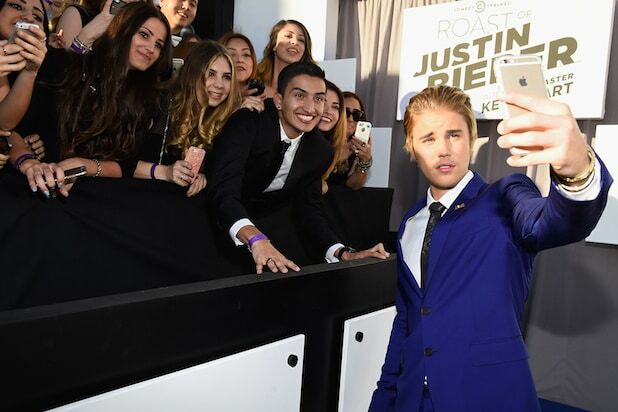 The #BieberRoast was up 42 percent in total viewers and 48 percent in the demo versus Comedy Central’s last roast, which honored James Franco in 2013. The impressive numbers made it the third most popular roast ever, behind Charlie Sheen‘s in 2011 (which had 6.43 million viewers, but with re-airings that number rose beyond 10 million) and Jeff Foxworthy in 2005. Franco’s turn landed 3.1 million total viewers. Monday’s special was a massive hit on social media, amassing over 1.3 million mentions and more than 41 roast-related trending topics, worldwide and in the United States, according to the cable channel. Overall, since Jan. 20 — when the roast was announced — the special has generated 6.9 billion impressions across Tumblr, Facebook, Twitter, Instagram and YouTube. Kevin Hart, Natasha Leggero, Snoop Dogg, Chris D’Elia, Hannibal Buress, Ludacris, Martha Stewart, Shaquille O’Neal and “SNL’s” Pete Davidson were all featured on the special, which was filmed weeks earlier at Sony Pictures in Culver City, California. While roasts are known for their harsh jokes, some quips about the late Paul Walker were too extreme for Comedy Central, and thus removed from the telecast. “I’m not saying Martha Stewart is old, but she needs a new Walker more than the ‘Fast and Furious’ Franchise,” Leggero had said. 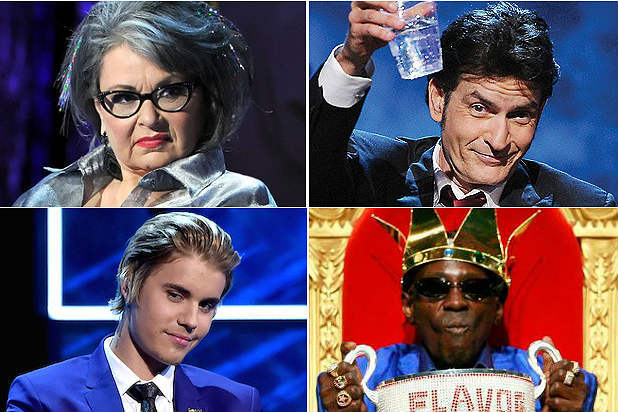 Previous Comedy Central roastees include Roseanne Barr, Sheen, Donald Trump, David Hasselhoff, Denis Leary, Bob Saget, Jeff Foxworthy, Pamela Anderson, Flavor Flav and Joan Rivers. See TheWrap’s chart below for ratings of all the Comedy Central roasts, from highest to lowest.